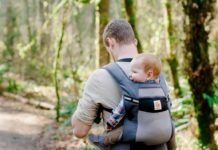 It is quite a difficult task to provide a food item that your newborn baby actually likes and doesn’t throw up or start crying at the very sight of it. But before you try experimenting with different types of food items, you need to keep in mind the list of common allergens like eggs, wheat, soy, shellfish and others. Then there are foods that cause flatulence like onions, dairy products like cheese and yoghurt etc. The good news is you don’t have to be a whiz chef to concoct a mix and mash food items for your baby. 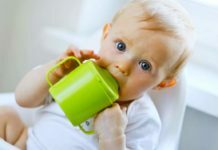 Do not feed the baby any more than a couple of tablespoons of food at a time. Keep the portions small and serve at regular intervals. 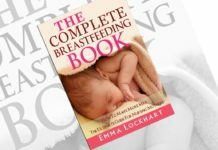 Get your family pediatrician to make a list of the food items to avoid for your new born baby and for the mother who would be breastfeeding the baby. Tender green peas are not only sweet and tasty, but rich in Vitamins A and C and proteins, iron and calcium. Soak the peas in hot water so that the skin comes off. Boil the soaked peas, and mash the boiled mix into a soft puree. A banana has rich fiber content and potassium. It regularizes bowel movement and is a natural antacid. 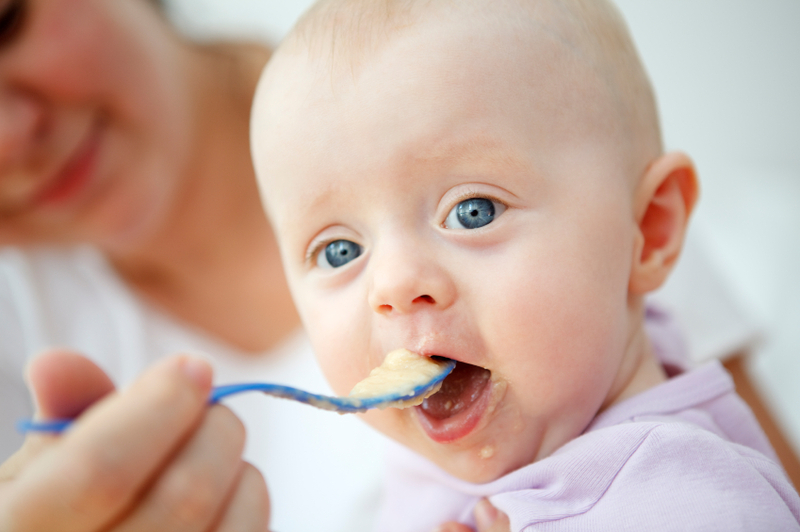 Peel a small, ripe and green banana and mash it into a smooth paste for feeding the baby. However, be careful because too many bananas can cause constipation. A sweet potato is packed with antioxidants, vitamins and fiber content. 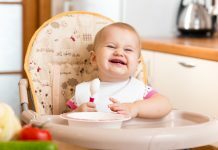 Sweet potato, when baked and mashed into a smooth puree makes a delightful and nutritious breakfast for your baby. Mix the puree with some milk and sugar to enhance its taste. 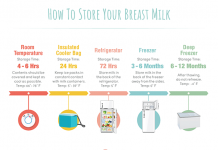 This is another preparation that is loaded with nutrients like Vitamins A, B-12, D and Calcium. Soak an average sized apple in hot water to peel off its skin. Boil the peeled apple to a paste and mix it with powdered sugar for more taste. 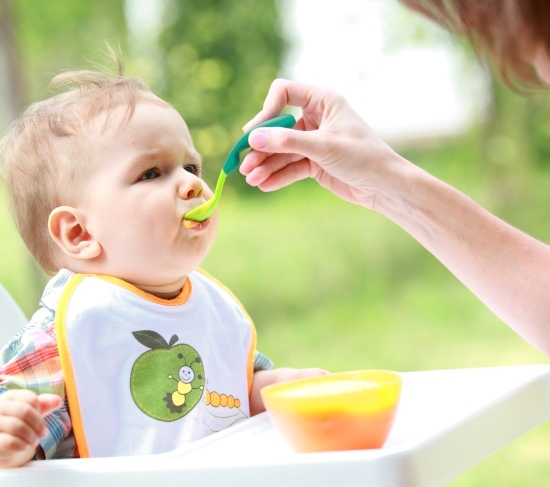 This is a highly nutritious baby food that can be served in the afternoon after lunch. 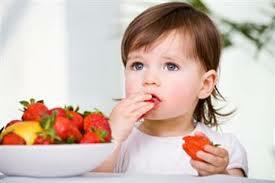 Begin the child’s transition from an all liquid diet to solids with sweet and tender carrots. 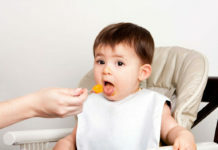 Rich in antioxidants, Vitamin A and beta carotene, boiled carrot puree can become your baby’s favorite meal of the day! Mix a few vegetables like beans, carrots and potatoes and boil the mixture in water. Mash the vegetable mix into a smooth and thick paste. Add just a teeny tiny pinch of salt and pepper and serve warm. 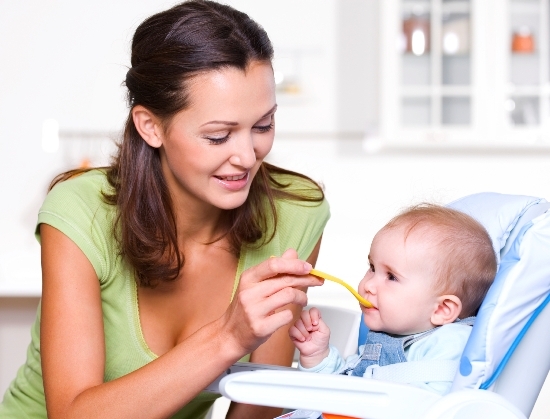 Rice is the most easily digestible and non-allergic food that can be fed to a baby. 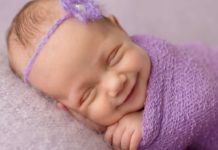 Boil a small amount of brown rice into a thin gruel like mixture and feed your baby. Serve it warm and mixed with mashed potatoes for more taste and a boost of nutrition.